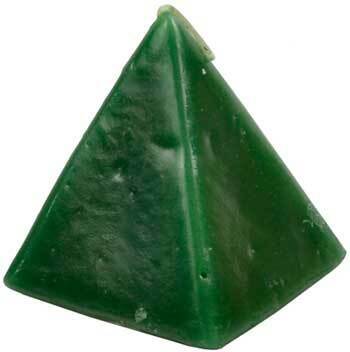 Green Cherry pyramid candle 2 1/2"
A solid green pyramid candle which can help empower your spells and rituals of money, success, growth & fertility with the sacred geometry of the pyramid form. Color runs all through the candle. 2 1/2" x 2 1/4" X 2 1/4"